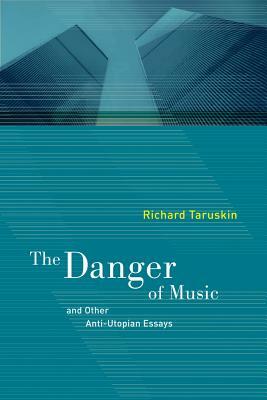 The Danger of Music gathers some two decades of Richard Taruskin's writing on the arts and politics, ranging in approach from occasional pieces for major newspapers such as the New York Times to full-scale critical essays for leading intellectual journals. Hard-hitting, provocative, and incisive, these essays consider contemporary composition and performance, the role of critics and historians in the life of the arts, and the fraught terrain where ethics and aesthetics interact and at times conflict. Many of the works collected here have themselves excited wide debate, including the title essay, which considers the rights and obligations of artists in the aftermath of the 9/11 terrorist attacks. In a series of lively postscripts written especially for this volume, Taruskin, America's "public" musicologist, addresses the debates he has stirred up by insisting that art is not a utopian escape and that artists inhabit the same world as the rest of society. Among the book's forty-two essays are two public addresses—one about the prospects for classical music at the end of the second millennium C. E., the other a revisiting of the performance issues previously discussed in the author's Text and Act (1995)—that appear in print for the first time. Richard Taruskin is Class of 1955 Chair of Music at the University of California, Berkeley and is the author of Stravinsky and the Russian Traditions (UC Press), among many other books.